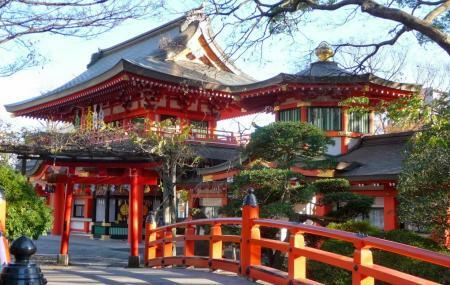 The Chiba shrine is dedicated to the Shinto deity Myoken, a bodhisattva who is the personification of Polaris, the North Star. It is believed that Myoken offers protection from bad luck and bodily harm. The main gates to the shrine are elaborate and intricate and feature the twelve animals that are represented on the traditional calendar. Surrounding the shrine are picturesque gardens. Winding paths lead through Japanese style landscaping while small bridges lead over koi-filled ponds. How popular is Chiba Shrine? People normally club together Chiba Zoological Park and Chiba Castle Ruins while planning their visit to Chiba Shrine. Very quiet, peaceful and beautiful.